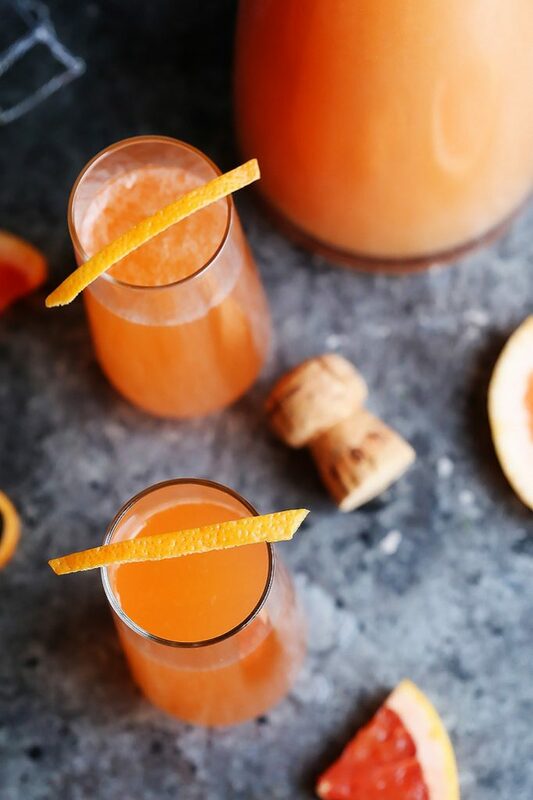 This Blackberry Ginger Bellini is a festive sparkling cocktail that’s perfect for brunch or holiday parties. The best part about these bellinis is that all the work can be done ahead of time, before your guests arrive. The blackberry-ginger simple syrup is just that – simple. Mix equal parts water and sugar in a small sauce pot, throw in a handful of blackberries and some sliced up ginger, heat and stir until the sugar dissolves. Then, remove it from the heat, cover the pot and let it steep away for about 15 minutes. Afterwards, just strain the syrup, and let it chill. 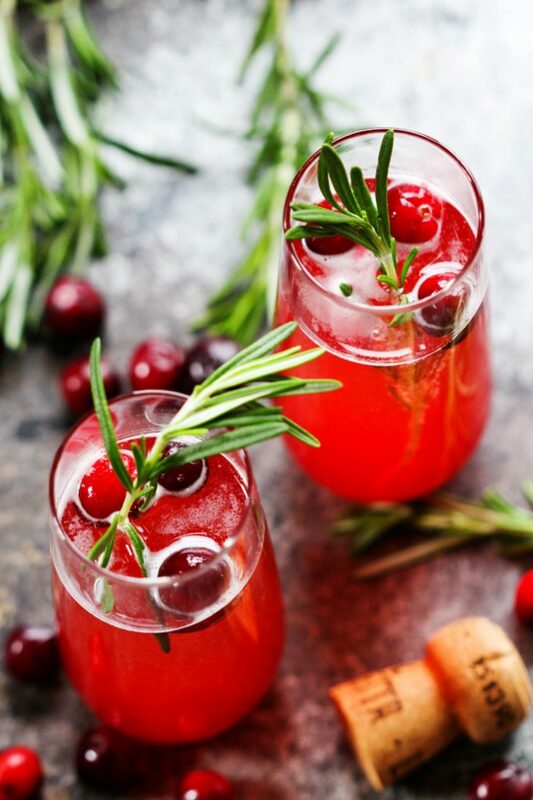 You can do this up to a week ahead of time, but if you’re making it the day of, just be sure to give yourself plenty of time so that you can get a good chill on the syrup before you plan to serve your cocktails. Then, the assembly process is easy! 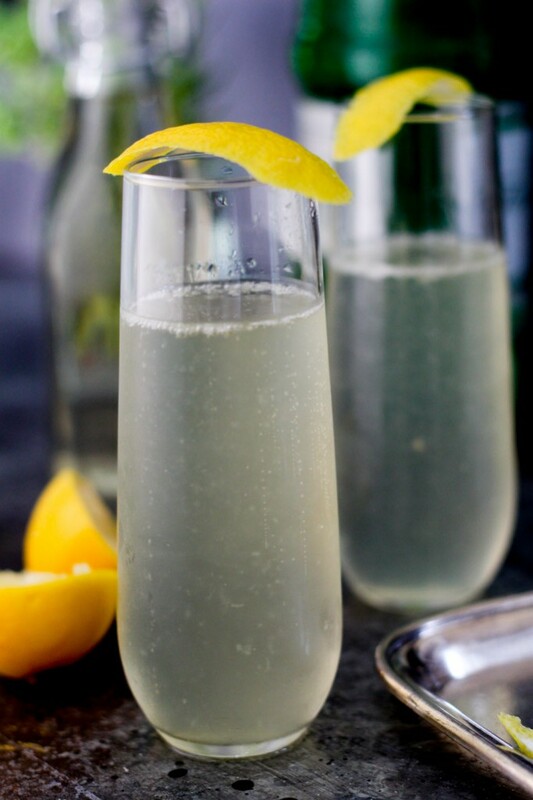 Just add your blackberry-ginger simple syrup to a champagne flute and top it off with some sparkling wine. 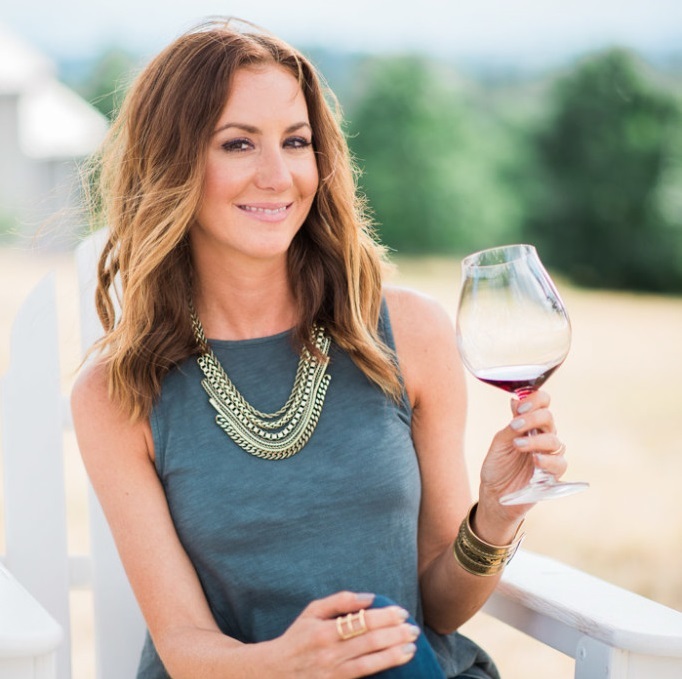 I’m using a delicious Prosecco from 90+ Cellars as my sparkling wine – It’s got aromas of stone fruit and hints of ginger which compliments this cocktail perfectly. Plus, it’s only about $10 a bottle – A true score if you ask me! You can make your cocktails as flavored as you’d like by adding just a little, or a lot of the syrup. I usually add in about a tablespoon. Plus, if you have some non-drinkers in the group, this syrup is also fantastic added to some sparkling water and served over ice. I like to garnish with a fresh blackberry and a sprig of thyme. 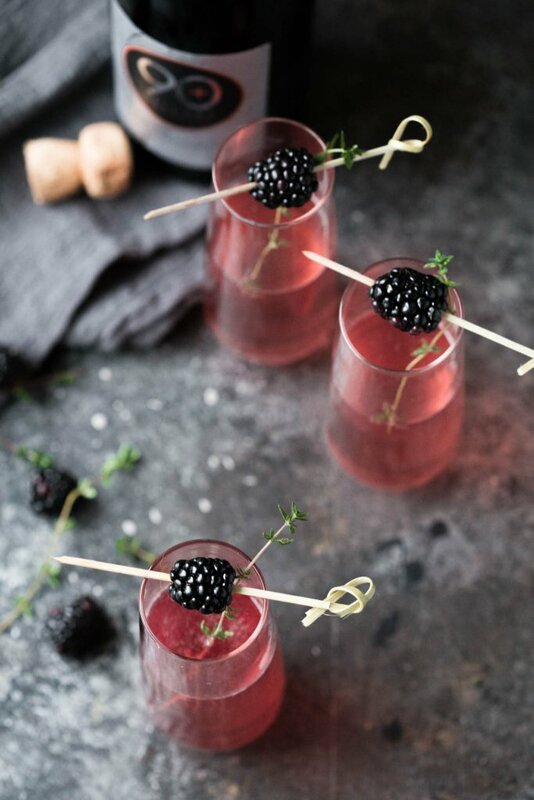 However, you could also serve these blackberry ginger bellinis with a frozen blackberry – doing double duty to look pretty and keep your cocktails cold. 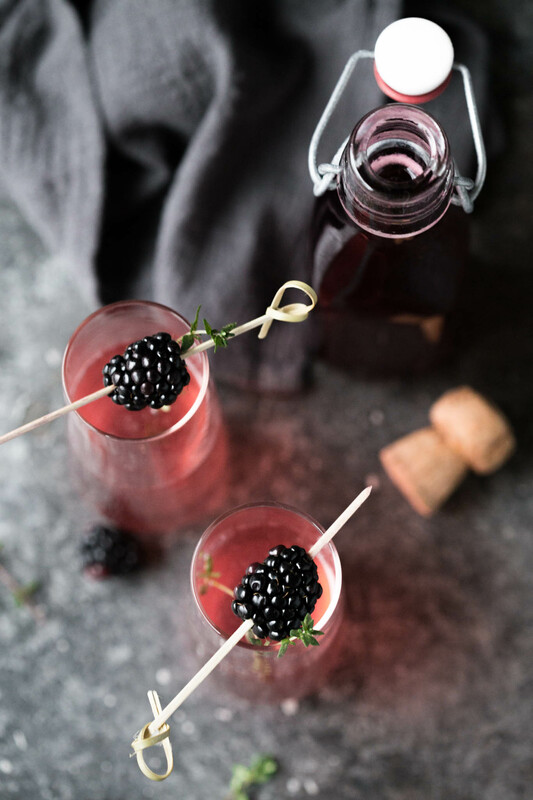 These Blackberry Ginger Bellinis are guaranteed to be a hit at your next party and can turn any occasion, even a gloomy Monday, into a festive occasion. 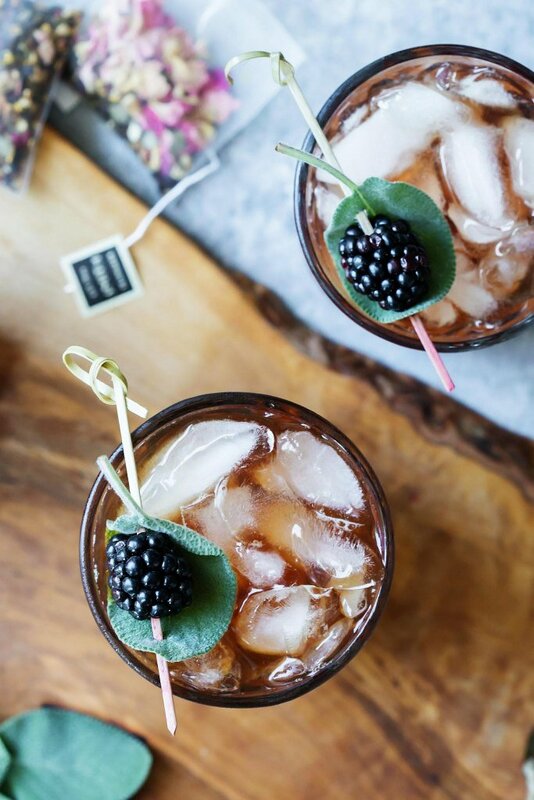 This Blackberry Ginger Bellini is a festive sparkling cocktail that's perfect for brunch or festive holiday parties. In a medium saucepan stir together water, sugar, blackberries and ginger. Bring mixture to a boil, then reduce heat and let mixture simmer until sugar completely dissolves. Remove from heat, cover, and let steep for 15 minutes. Strain blackberries and ginger from syrup mixture and let cool completely. Assemble the bellinis by adding the sparkling wine to a champagne flute, filing halfway, top off with the blackberry-ginger simple syrup. Garnish with fresh blackberries and thyme sprigs, if desired. Gorgeous dark photos! The blackberry + ginger sounds so nice!! I’ll be with you, toasting to January 1. I basically never make it to midnight these days! I need one of these gorgeous cocktails right now! All of my faves in one drink. Cheers! Blackberry and ginger is such a great combination. This looks really good. Happy New Year!